The bigger the better! 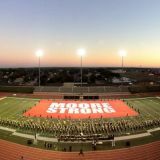 If you are looking for a bold and loud way to get your message across, there can’t be a better option than our Monster Custom Flags.These are available in various sizes from 12' x 18' to 110'x180'. 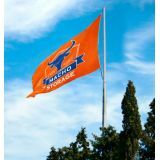 Make a larger than life impact with these eye popping flags that will literally make the onlookers stop and take notice. 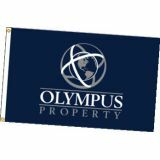 Get your message across in an overwhelming way with these huge flags by shopping from our collection of custom flags. Tuff Flags will provide you a Monster Flag that will last longer than any in the industry and will save you money. Look through our collection of sizes. When you're ready contact us, so we can talk about your particular application. Tuff Flags will make the creation of your Monster Flag easy. 100% customer satisfaction guaranteed! Our Custom Monster Flags that are 100% Made in USA are a great way to get your message out in a bold way! With such a huge imprint area, your message on these custom flags will never be overlooked for sure! Many of these are ideal for extremely tall flag poles, hanging from cranes, fire trucks, buildings, or sporting event shows. These flags will impress peoplee. Printed with vibrant, high quality inks you will receive a long lasting, color fast flag. Personalized Monster Flags can be printed with your brand, message or artwork in full color options to make a fabulous statement flag. Get yours today! Browse our collection of Custom Monster Flags. When you're ready to begin, call us at our toll free number (888) 872-3524 or email us at customercare@tuffflags.com and we will assist you through your Monster Flag creation.